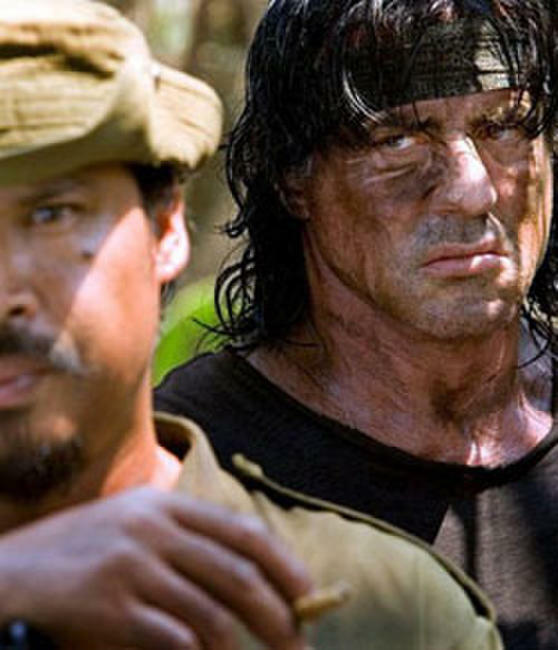 On the set of "Rambo." 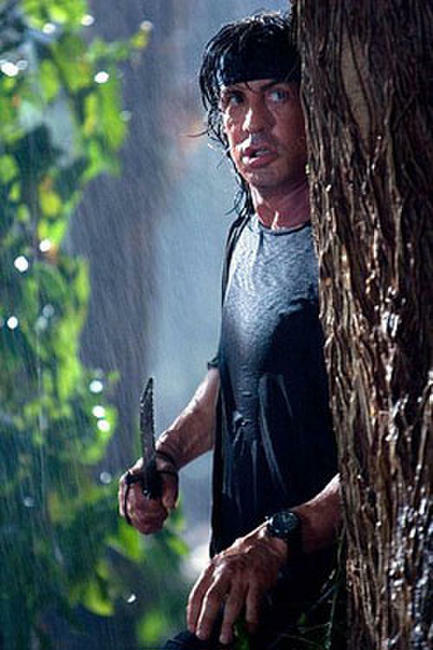 Writer-director Sylvester Stallone on the set of "Rambo." 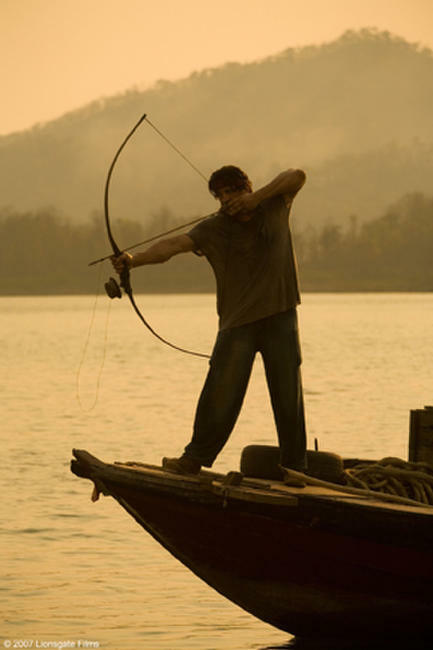 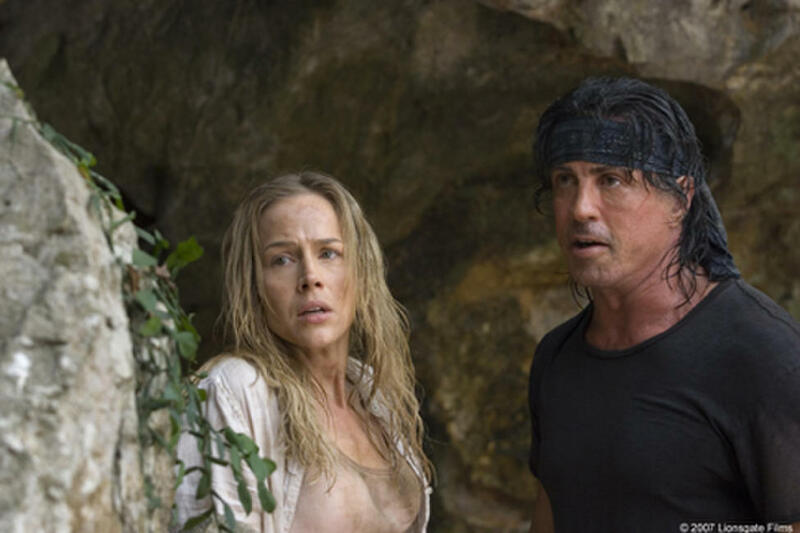 Sarah (Julie Benz) and Schoolboy (Matthew Marsden) in "Rambo." 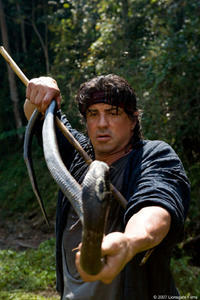 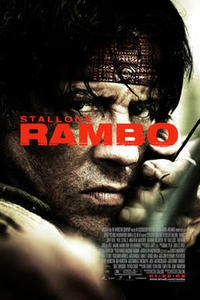 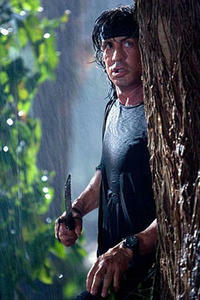 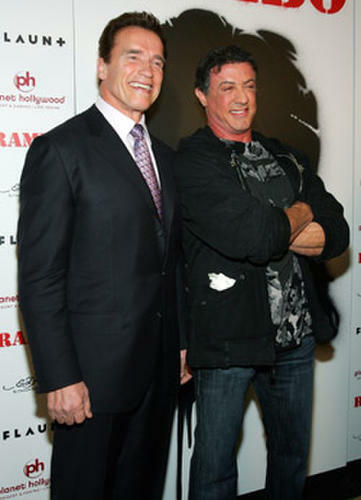 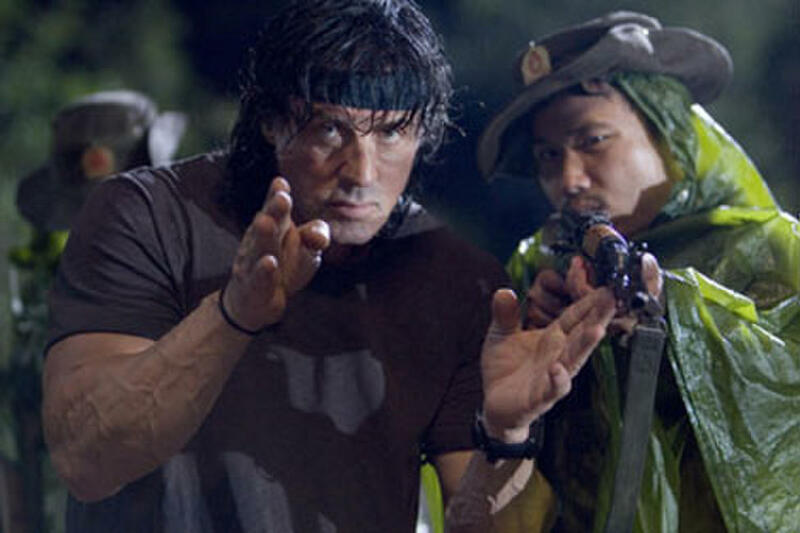 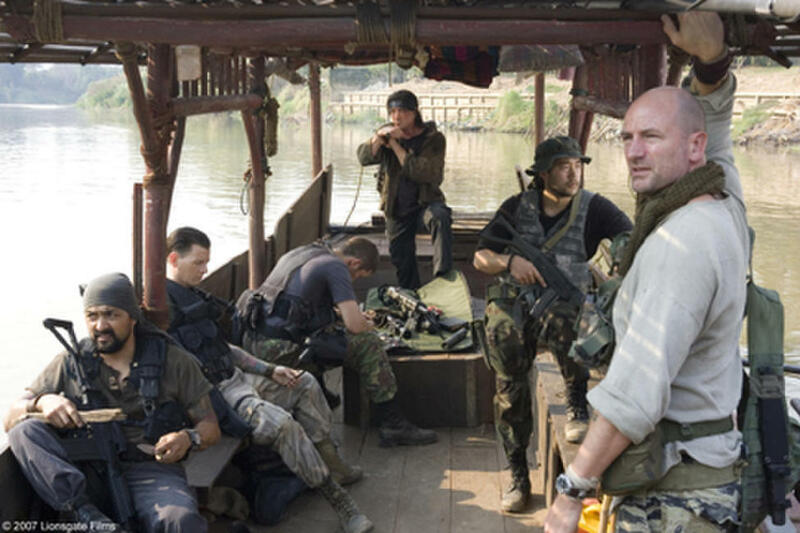 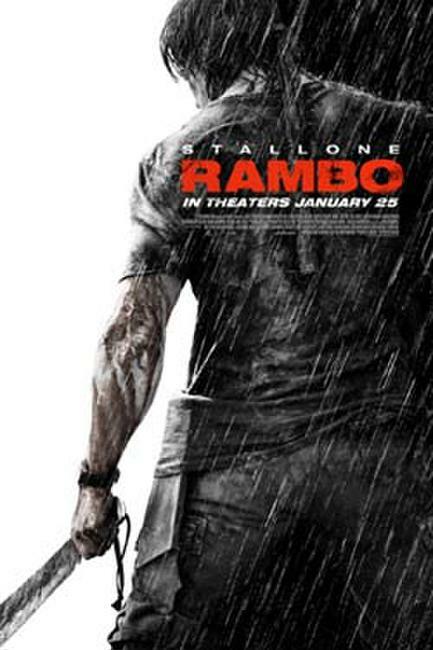 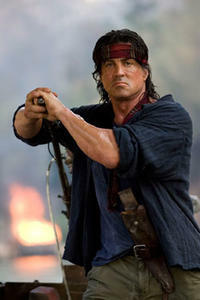 Reese (Jake La Botz), John Rambo (Sylvester Stallone) and Lewis (Graham McTavish) in "Rambo."